This year marks the centenary of the Battle of the Somme. Imperial War Museums (IWM) and members of the First World War Centenary Partnership are working together to show the UNESCO listed film The Battle of the Somme (1916), to audiences across the world. We will be commemorating 100 years since New Zealand joined the Battle of the Somme on 15 September 1916 at Ngā Taonga Sound & Vision Wellington, with a free screening of the film on Thursday 16 September 2016, at 7pm. Find out more about Ngā Taonga Sound & Vision’s screening here. The British High Commission, in partnership with the New Zealand Symphony Orchestra, Wellington City Council, Ticketek New Zealand, and RSA National will also be presenting special free screenings of the film with live musical accompaniment. At these screenings, on Saturday 24 September at 3pm and 7pm, at the Michael Fowler Centre, the New Zealand Symphony Orchestra will play a specially commissioned orchestral score by the British composer Laura Rossi. Find out more about the British High Commission screenings here. Ngā Taonga Sound & Vision will then offer additional opportunities to see the film at 7pm, Mon 29 Sept, Sat 1 Oct, Wed 5 Oct & Fri 7 Oct.
Read on for more information about the film, as well as the work that has gone into the restored version audiences here in New Zealand, and around the world, will be watching later this month. Advert for “The Battle of The Somme” in the “Dominion” (NZ), 18 October 1916, p.7. Image: Papers Past. Shot and screened in 1916, The Battle of the Somme was the first feature length documentary about war. In the first three months of its release the film was seen by around 20 million people in Britain and Ireland, informing and challenging the public with its images of warfare, and changing the way both cinema and war were perceived. The film was shot by just two cameramen; Geoffrey Malins and J B McDowell. 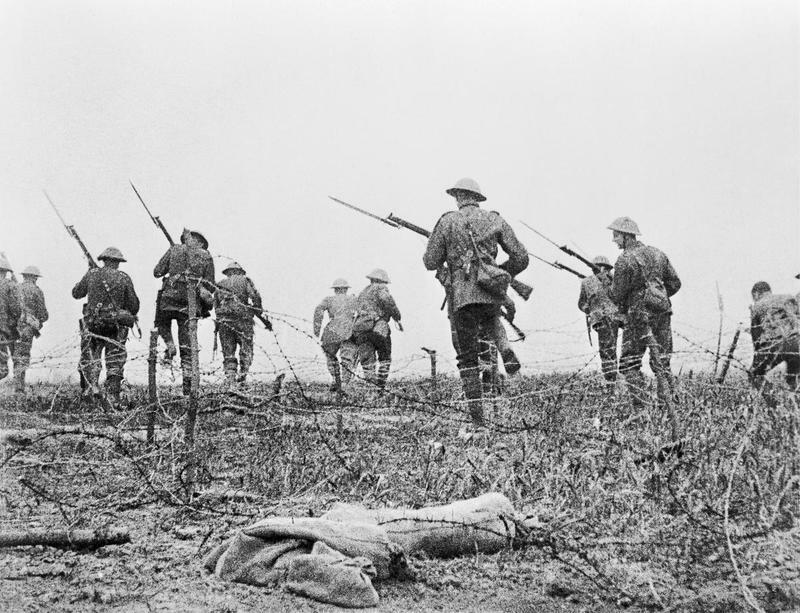 Filming took place between 25 June and 9 July 1916, covering the build-up and opening stages of the Battle of the Somme. The film is definitely a propaganda film, though it is filmed and presented in the style of a documentary, and was made in response to a real desire from the British public for news of and images from the battlefront. It was created to rally civilian support, particularly for the production of munitions, and British soldiers are portrayed as well-fed, respectful to prisoners and well-looked after. The structure of the film is simple; the first two reels cover the preparations for the infantry attack, the third reel covers the attack on the 1 July 1916 and the next two, the aftermath of the battle. Anticipating the desire of the audience to spot their loved ones, the cameramen captured as many faces as possible, often encouraging the men to turn and acknowledge the camera. The inter-titles, written by the War Office, are a crucial element of the film. They provide commentary, point out important details, guide the audience to an appropriate response, reinforce propaganda messages, and reassure the viewer. Some scenes such as the ‘over the top’ sequence are now understood to have been staged. However, historians estimate that overall only 90 seconds of the film was staged. An estimated 13% of the film depicts images of wounded or dead soldiers including some distressing images of communal graves. The depiction of British dead is unique to this film in the history of British non-fiction cinema. Despite the depiction of death and injury throughout the film, the overall feeling remains that the Battle of the Somme was a military success. Still from “The Battle of the Somme” (1916). Image: Imperial War Museums. The film was first privately shown to David Lloyd George on the 2 August 1916 and the first major screening took place on 10 August at the Scala Theatre, Soho, London. The Battle of the Somme continued to be distributed for at least five months afterwards. By October 1916, the film had received around 20 million admissions – the UK population at the time was 43 million. The Battle of the Somme was filmed on the front line at great personal danger to the cameramen, and offered audiences a unique, almost tangible link to their family members on the battlefront. Contemporary reactions to the film varied greatly; some members of the public thought the scenes of the dead were disrespectful or voyeuristic. There was debate in the newspapers and at least one cinema manager refused to show it. But most people believed it was their duty to see the film and experience the ‘reality’ of warfare. 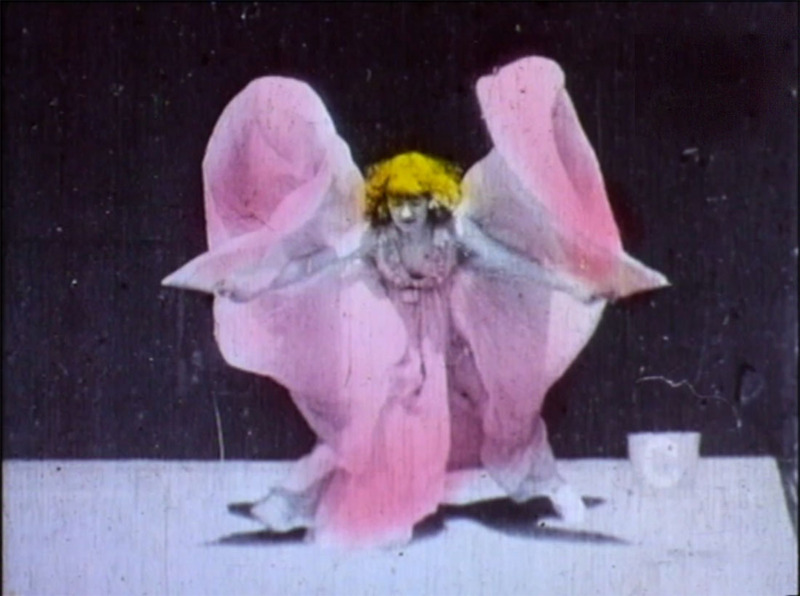 The popularity of the film helped raise the status of film from a trashy form of mass-entertainment to a more serious and poignant form of communication. The Imperial War Museum took ownership of the film in 1920, and in 2002 undertook digital restoration of the surviving elements. A new orchestral score was commissioned from Laura Rossi in 2002 and in 2005 the film was listed on UNESCO’s ‘Memory of the World’ register – one of the first films, and the first British document of any kind, to be listed. 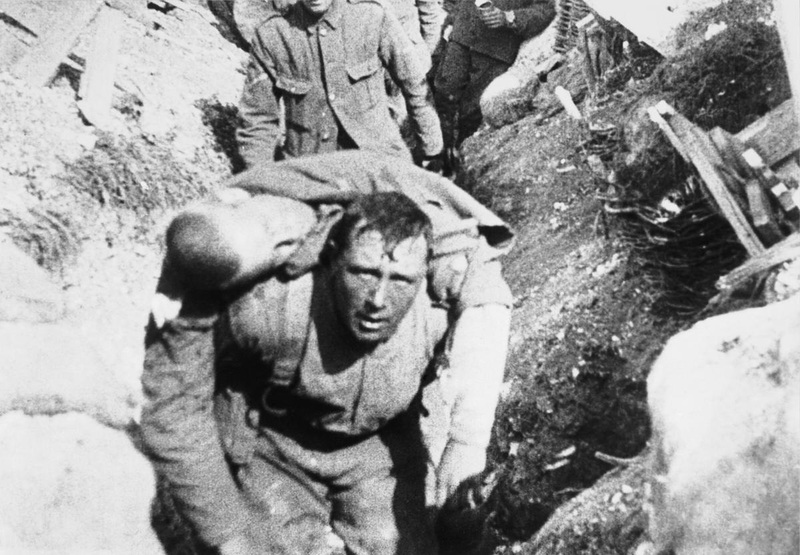 The Battle of the Somme film remains the source of many of the conflict’s most iconic images, from the ‘over the top’ sequence to the piggy-back rescue in the trenches, and continues to have great importance not only as a record of war but as a piece of cinema. As is common with important films from the past, in technical terms The Battle of the Somme was a victim of its own popularity. In this film’s case, the scale of the demand for prints when it was first released is evident in the fact that the original negative was already in a badly damaged state by the time Imperial War Museums took charge of it in 1920. This negative, alas, is no longer in existence having succumbed to cellulose nitrate decomposition many years ago, and the current restoration has been based on the next best, a master copy made by IWM in 1931. Although this copy is complete, it faithfully captures all the scratches, breaks and blemishes which were present in the original; furthermore, due to the relatively primitive technology of the time, a conspicuous amount of detail had been lost in the printing process. Also very apparent are a number of shots of markedly poorer quality and softer focus where the original negative had been damaged and replaced by inferior duplicate sequences. Perhaps the most obvious problems to viewers of the unrestored Battle of the Somme were the severe flickering (or exposure variation) of the image, and a complete lack of detail in backgrounds and long shots, to the point where, for the viewer, the action of the film seemed to take place almost entirely in the foreground. Making out anything in the distant shots required an uncomfortable degree of concentration which detracted from the experience of watching the film. Digital restoration, a technique in which the original film is scanned frame by frame so that the images can be manipulated by powerful computer software, offers the ability to extract from each frame information hitherto lost in the shadows and highlights, and to repair blemishes caused by scratches, dirt and damage. Dynamic defects, such as flickering, can also be minimised. However, the quality of the images in The Battle of the Somme presented Dragon Digital Intermediate, the facility commissioned to carry out the work, with major challenges, particularly in panoramic shots across the battlefield where details in different parts of the image would appear and disappear from frame to frame as the exposure varied. So severe were many of these problems that the restorers found that standard de-flickering and scratch removal software tools were unable to cope, and for much of the film they were obliged to work manually frame by frame, painstakingly adjusting the light levels in different parts of the frame and painting out major blemishes by hand. There are some 80,000 frames in The Battle of the Somme! The result, while inevitably still very much looking its age, is a startling improvement on anything seen since the film’s original release. At last it is possible to see that a line of marching men are not merely passing in front of the camera, but winding in a huge column into the distance, that shells dimly exploding in a fog are in fact landing across clearly defined enemy lines, and that in the two brief shots of the actual attack, men are actually cut down by enemy fire. Find out more about the worldwide Somme 100 Project here.